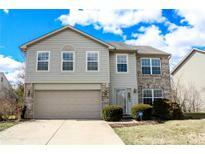 Below you can view all the homes for sale in the Kensington Farms subdivision located in Indianapolis Indiana. 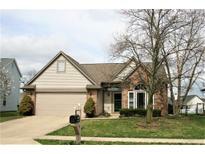 Listings in Kensington Farms are updated daily from data we receive from the Indianapolis multiple listing service. To learn more about any of these homes or to receive custom notifications when a new property is listed for sale in Kensington Farms, give us a call at 317-900-4573. Inside this home has been upgraded in so many places from the new flooring throughout, Furnace & AC only one year old, new roof in 2014, New windows in 2016, new countertops & sink in 2018, plus so much more. MLS#21631524. CENTURY 21 Scheetz. In great neighborhood with pool, playground and walking trails! Be in by summer! ! MLS#21628455. F.C. Tucker Company. Roof is 10 years old. This is a wonderful home! MLS#21623517. RE/MAX Ability Plus. This is definitely a must see home for a growing family. MLS#21618993. Lewis Residential LLC. 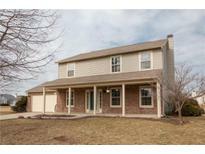 Outside, reap all the benefits of having a screened in sun room, huge back patio & access to a walking trail! MLS#21616279. F.C. Tucker Company. Price reflects need for cosmetic updates. Home being sold "as is". MLS#21559488. F.C. Tucker Company.